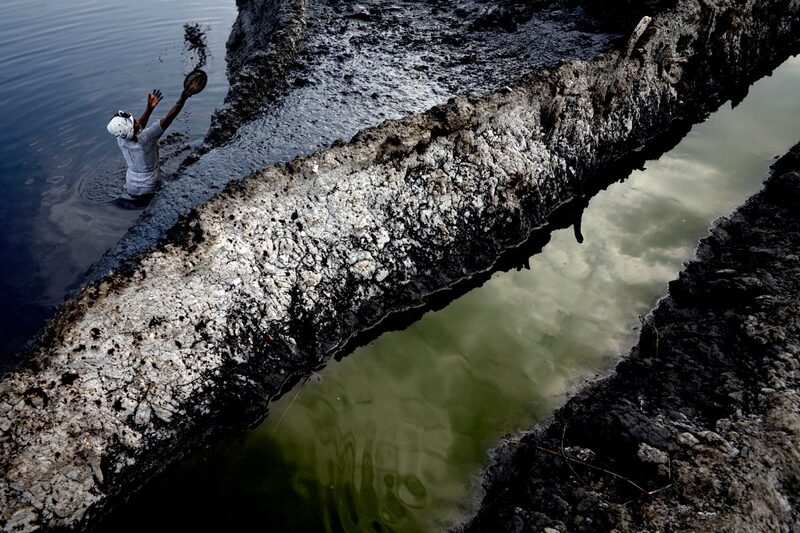 A woman removes mud from a salt pan at Lake Katwe. Mud gathers on the bed of the pan and must be taken out before salt can be extracted. The mud is used to build up the walls of the pan.